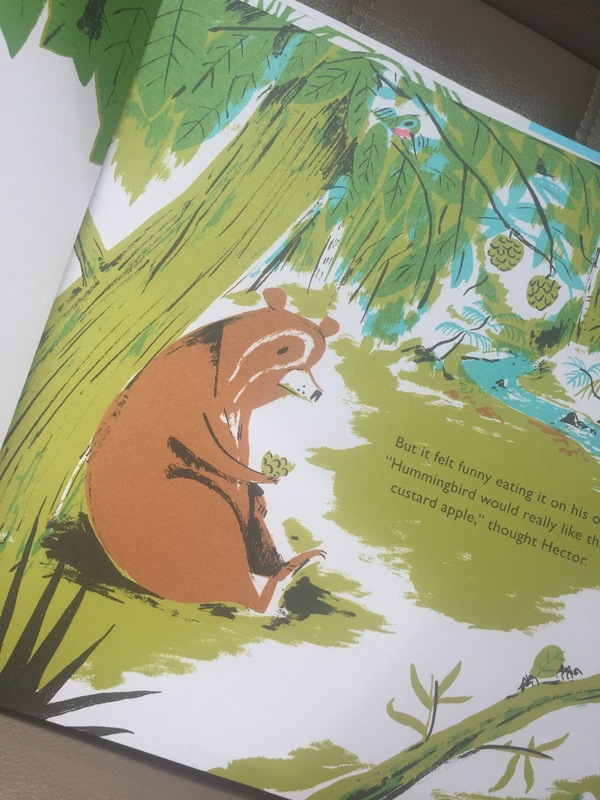 HECTOR AND HUMMINGBIRD is the story of an unlikely friendship between a noisy hummingbird and a bear who just wants to find some peace and quiet. But when Hector finally stomps off to be alone, he finds that life isn't complete without his noisy friend. Printed in vibrant, special colors, HECTOR AND HUMMINGBIRD is the exciting debut picture book from Nicholas John Frith. 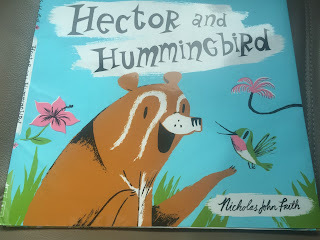 This is such a cute read out loud book with two adorable characters named Hector and Hummingbird. 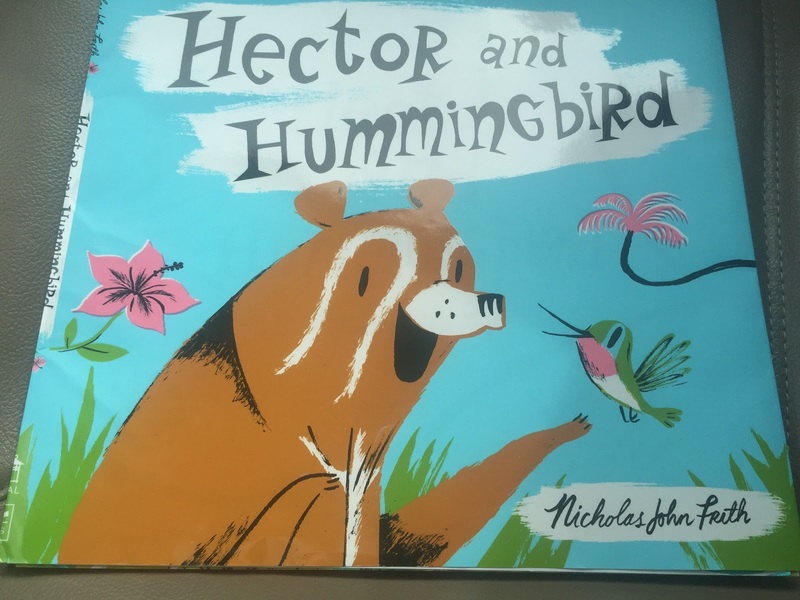 Hector and Hummingbird are friends but sometimes Hector just wants quiet while Hummingbird loves talking and talking and....talking. 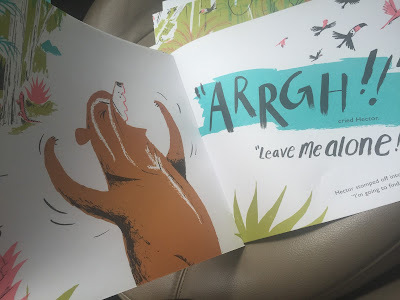 One day Hector can't take it anymore and yells for Hummingbird to leave him alone. 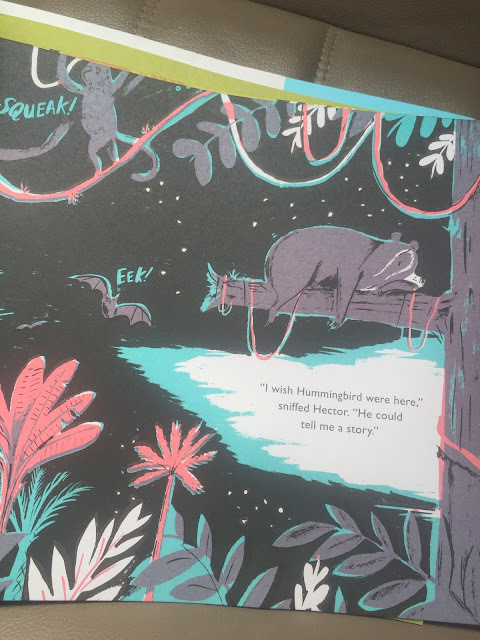 Like most who ask for space eventually they realize that they miss their friends and when Hummingbird finally shows up he explains to Hector that he really just wants to be like him. He looks up to Hector and the friends go on their merry way. What I loved about this is a lesson I explain to my kids often. Sometimes friends don't see eye to eye but if you respect each other you can make it through anything. The graphics are perfect, adorable and colorful!